1972—Shirley Temple Black becomes the first in a series of well-known figures to publicly announce a breast cancer diagnosis. 1974—First Lady Betty Ford openly discusses her diagnosis and mastectomy. Two weeks later, Second Lady Margaretta Rockefeller undergoes a double mastectomy. 1975—Breast cancer patient Rose Kushner challenges the standard one-step process, opts for a less-invasive modified mastectomy and publishes the details of her experience in Breast Cancer: A Personal History And Investigative Report. 1980—After a 3-year battle with breast cancer, Susan G. Komen dies at the age of 36. 1982—Nancy Brinker establishes the Susan G. Komen Breast Cancer Foundation. 1983—The first Race for the Cure® takes place in Dallas, TX with 800 participants. 1984—Komen founder Nancy Brinker is diagnosed with breast cancer. 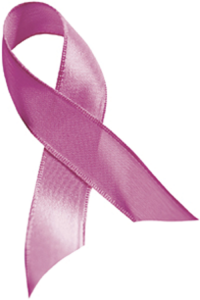 1986—The first Breast Cancer Awareness Month is held in October. 1991—Komen establishes the pink ribbon as a national symbol for the cause by distributing one to every participant in the NYC Race for the Cure®. 1993—Fashion model Matushka ex-poses her mastectomy scar on the cover of New York Times Magazine. 1996—The first breast cancer awareness stamp is issue by the United States Postal Service. 1998—The first international Race for the Cure® is held in Costa Rica. 2002—More than 1.3 million participate in over 100 Race for the Cure events in the U.S. and two other countries. 2007—Komen awards the first grant for the Komen Tissue bank, the only biorepository of its kind collecting normal breast tissue to study the causes and prevention of breast cancer. 2008—The Race for the Cure® celebrates its 25th anniversary. 2014—150 Komen race events will be held worldwide, including in the U.S., The Bahamas, Belgium, Georgia, Germany, Greece, Italy, Puerto Rico, and Tanzania.